Close up view of a fine large jar symmetrically shaped, painted with brown swirl and dots motif. 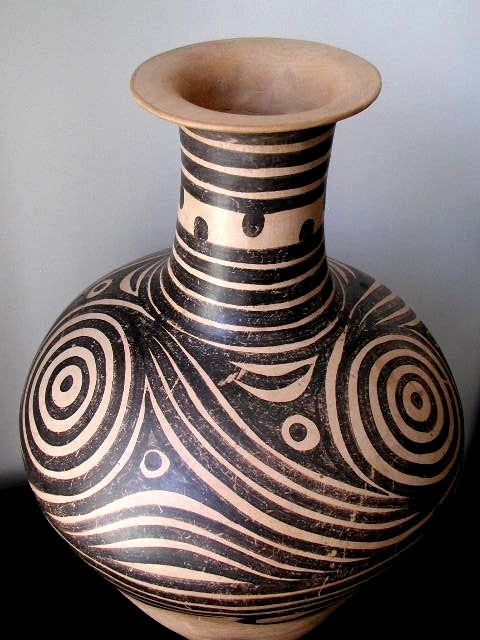 Neolithic period, Machiayao culture, ca. 3500 BC. H. 18.5 in (47 cm).